Greetings from the Hot Rod Graveyard- the only place you'll find greasy guys & putrid pinups! 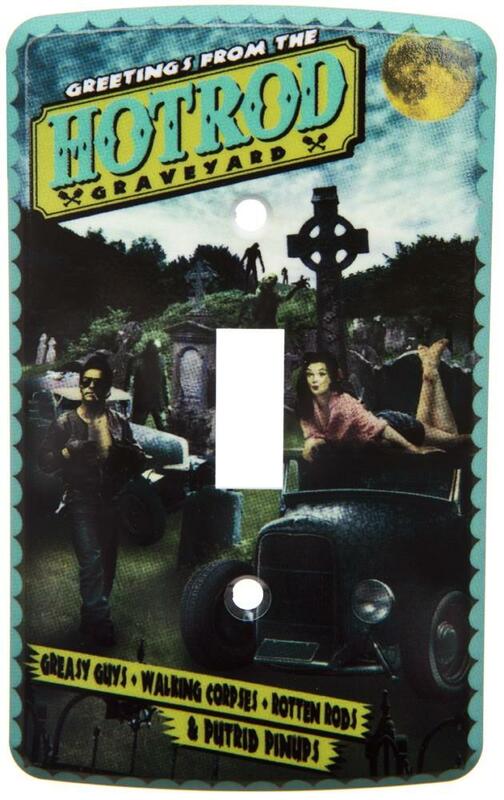 This postcard inspired light switch cover features a to die for design of a hot rod graveyard. Pull on over, if you dare!